More on the Elite Screens Custom Fit Travel Bag for Elite Tripod Pull Up Screens below. 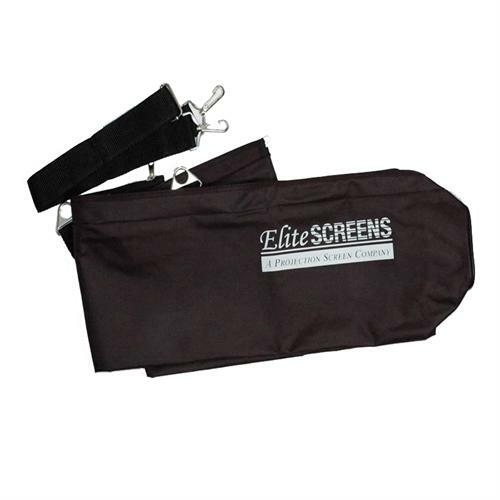 The ZT-series travel bags are designed to carry Elite Screens projector screens. They offer easy storage and transportation for the already lightweight, portable Elite tripod projector screen. One custom-fit model is available for each tripod screen. All have an adjustable shoulder straps. They are made of nylon cloth material and are washable.